Emily Hockaday: Assistant Editor. Victoria Green: Cover Design. Volume CXXXVII, No. 5 & 6. No whole number given. Indicia mistakenly states that this double issue is numbers three and four. 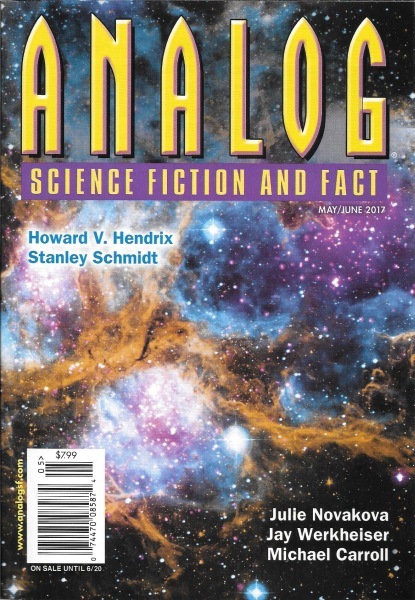 "The Reference Library" is the magazine's book review column and it starts with a short introductory article as Don Sakers discusses the post-apocalypse theme in current science fiction. "On Sale Until 6/20" printed to the bottom of this issue's bar code box. Cover illustrates Region NGC 6357 and it is a photograph from NASA. Page five states that this issue was "Printed by Trend Offset Printing, Jacksonville, FL U.S.A. (4/3/17)".